By The Beatles. By John Lennon and Paul McCartney. Harmonica. Classic Rock, Britpop and Psychedelic Rock. 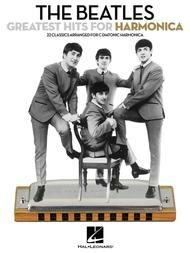 Harmonica songbook (softcover). With melody line, harmonica notation (diatonic and chromatic), lyrics, introductory text and performance notes. 64 pages. Published by Hal Leonard (HL.850106). 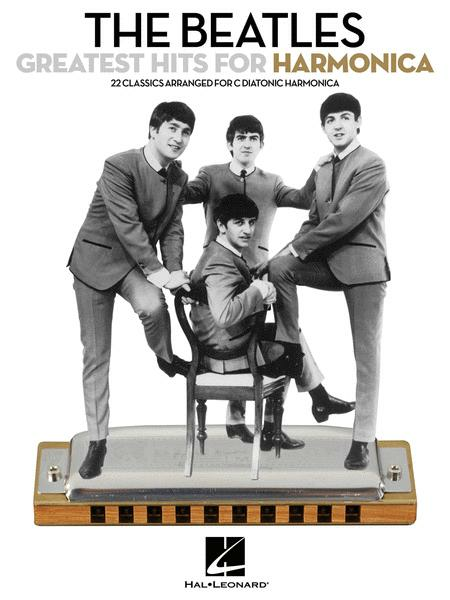 22 classic tunes arranged for C diatonic harmonica, including: Across the Universe • Because • Help! • If I Fell • Let It Be • Nowhere Man • We Can Work It Out • With a Little Help from My Friends • Yellow Submarine • and more. July 30, 2008 Some great selections. made it easy. Some of the songs don't play very well on the harp, but at least half are worth learning. 28 of 62 people found this review helpful. June 12, 2008 Sons favorite! songs. He hasn't even attempted the Christmas ones yet....has plenty of time. 26 of 55 people found this review helpful.